Bringing secularism into disrepute: has the LSS lost the plot? Last year the Lawyers’ Secular Society was instrumental in persuading the Law Society to withdraw its ‘practice note’ offering advice on Sharia compliant wills. Now it is supporting another venture, a Mohammed cartoon exhibition organised by Sharia Watch UK and Vive Charlie. 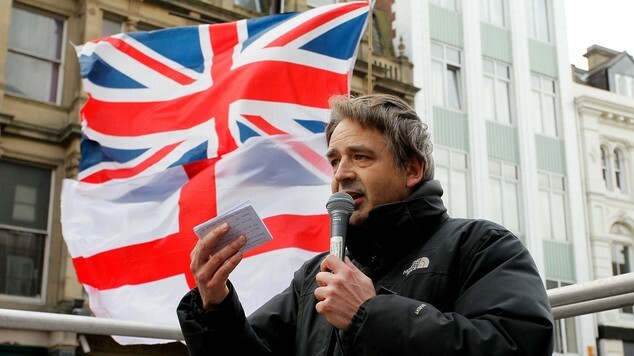 In response to criticism, the LSS President Charlie Klendjian has written a long post defending the decision to share a platform with Geert Wilders and Paul Weston, Chairman of Liberty GB. It is difficult to square that policy with having anything to do with Paul Weston. Although Klendjian is right to insist on the importance of free speech, there is no reason why one can’t defend this and other secular values robustly without getting involved with dubious individuals and organisations. It is implied that Weston is controversial because of his views on immigration, but this only scratches the surface of the problem. Klendjian points out that the LSS used to share platforms with ‘an open communist’ (Maryam Namazie of the Worker-communist Party of Iran). But whereas many evils have been carried out in the name of communism, I can’t imagine Maryam Namazie condemns these any less strongly than the rest of us. She is also an uncompromising anti-racist. “Another accusation against Wilders and Weston is that “they’re not secularists” or that they don’t share the other goals of secularists. I don’t even know whether they describe themselves as secularists and you know what? I don’t care. This (at least if he knows the full extent of Weston’s views) is disingenuous. It’s one thing for ardent secularists to allow a bit of leeway to liberal allies who don’t oppose ritual slaughter and don’t lie awake worrying about Bishops in the House of Lords. But – barring Muslims from public office? This discriminatory policy is the very reverse of what secularists should stand for – ensuring that people from all faiths and none are treated equally. “The LSS’s priority should be to defend free speech and to support this event as fully as possible, and not to guard itself against baseless accusations of ‘racism’. “In any case, as we have seen over the years, such accusations will be thrown no matter what. This is like a BDS supporter saying there’s no point condemning Holocaust denial or even the Holocaust itself because some will see any opposition to Israel as anti-Semitic. And what about racism itself – is that not a threat to our values too, or are Paul Weston’s supremacist views acceptable? Klendjian ends by quoting at length from Douglas Murray. Here’s just one paragraph of Murray’s argument. Murray is also being disingenuous in suggesting there’s a hypocritical distinction between attitudes to secularists from the left and right. Plenty of Conservatives have no time for Geller and Spencer. Those who dislike them don’t do so because of their views on fiscal policy or the size of the state. As for Weston – I’d expect Conservatives to oppose his horrific views as strongly as left/liberal types. And I’m sure there are many on the left – like myself – who would be quite prepared to put differences aside to work together with centre right allies against theocratic fascists – or against Weston and his ilk.